Bodee was one of our son's show horses. 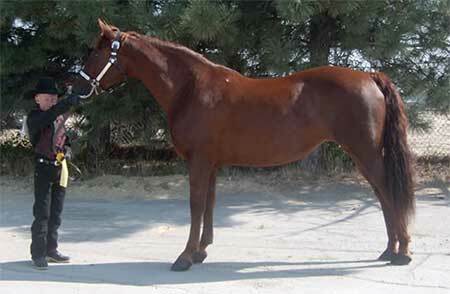 She was a bright Chestnut mare that carries herself very collected in the show ring. She had a terrrific pedigree including Upwey Ben Don (3x), UVM Trophy, UVM Flash, Waseeka's Nocturne, and Norma. She is broke to ride and drive and is used on the ranch during calving season, and moving cattle. She has earned our son numerous 1st places in 4-H, Open, and Morgan shows.